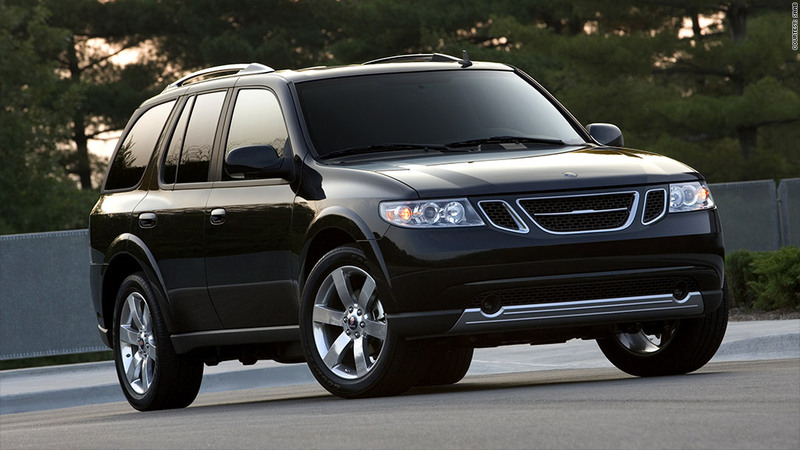 The Saab 9-7X is among almost 200,000 SUVs being recalled by General Motors because of an electronic part in the door that could short circuit. General Motors is recalling almost 194,000 SUVs in the United States because an electronic module could short circuit, causing a fire. The vehicles being recalled are 2006 model year Chevrolet Trailblazer EXT and GMC Envoy XL SUVs and 2006 and 2007 Chevrolet Trailblazer, GMC Envoy, Buick Rainier, SAAB 9-7x, and Isuzu Ascender SUVs. Some 2005 model year 9-7Xs are also being recalled. Water could get into an electronic module inside the door causing it to corrode and, ultimately, short circuit. When that happens, power door lock and power window switches could stop working. The short could also cause the module to overheat, smoke and burn. Since a fire could start even when the vehicle is not in operation, owners are being advised not to park the vehicle in their garages where a fire could spread to the home. GM had recalled the same vehicles in August, 2012, for this problem but that recall only included vehicles in parts of the country where corrosion often occurs due to road salt use. The vehicles now being recalled had been covered under a "special coverage" program which is similar to a recall but considered less urgent. That program has now been upgraded, at NHTSA's urging, to a full recall. There have been 58 fires as a result of this issue and 11 minor injuries, according to GM. After discussions with the National Highway Traffic Safety Administration, the automaker is now expanding that recall to include vehicles in all parts of the country. Owners of vehicles involved in the recall will be contacted and asked to bring their vehicles to a GM dealer for repair. GM will contact owners of the Chevrolet and GMC vehicles while Isuzu and Saab, respectively, will contact owners of their vehicles. Isuzu no longer sells light-duty vehicles in the U.S. and Saab's Swedish parent company declared bankruptcy in 2011 following a 2009 split from General Motors. Dealers will test the door modules and, of there's no problem, apply a coating to protect it from water. If water has already gotten into the module it will be replaced. All repairs will be done at no charge to the owner.